Well, here we are, it’s Tuesday again and time to update. My ripple blanket is now underway and going along very nicely! I began on Sunday and have almost completed the third colour, so that’s 6 rows. I’m pretty pleased with that – it’s a good start. It’s actually a really lovely pattern to work on, as it just seems to flow along in a gentle meandering way. And the yarn is soft which makes it delightful to work with too. As you can see I’m enjoying this immensely, in fact it’s hard to tear myself away! And don’t forget to check out other inspiring One a Day projects over on Gingerbread Girl’s blog. Of which there have been one or two lately! But I don’t really mind as it gives me the opportunity to get on with some quiet crochet. However, in the meantime my Lucy pack has arrived so I was able to immediately begin my ripple blanket. I love it already!! I’m on to the 3rd row and I’m using the colour order from the Granny Stripe blanket as I really like that. The yarn is soft and lovely to work with and all in all it’s an absolute joy! 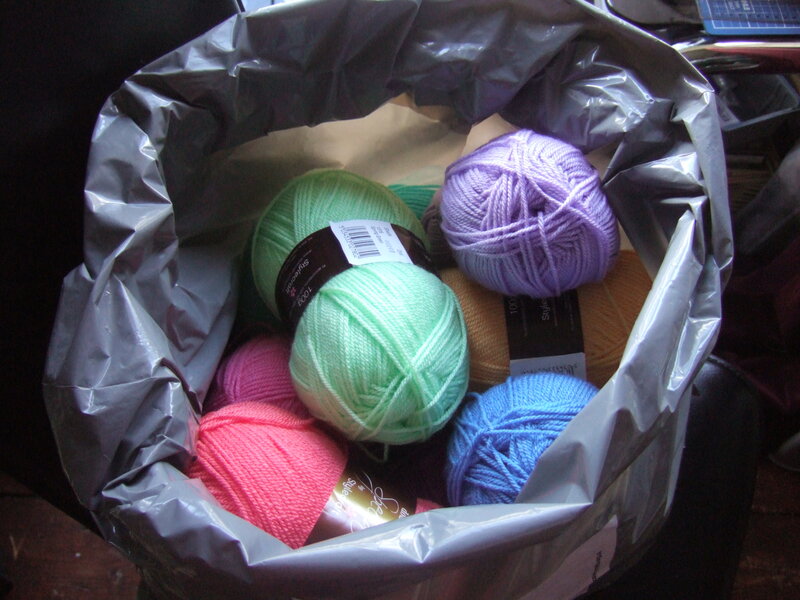 Originally I had planned this for my cousin’s baby, due next year, but my daughter was so tickled to see my excitement when the yarn arrived in the post, and as we’re decorating her room right now, I ‘ve decided to make it for her. She’s 12 and a half, and has been involved in choosing the paint and wallpaper, a new rug, and a photo frame/wall clock too, and for me this seems the perfect gift to round it all off. I hope she thinks so too. My favourite kind of post! Well I’ve done better than I thought I would and now only have 6 rows and a bind off to do on the Northern Lights shawl! I’ve ordered my Attic 24 pack and it should arrive tomorrow which means I can start my ripple blanket once this shawl is blocking!! Oh happy day! Northern Lights - almost done! Feeling quietly chuffed as I completed 11 rows this week in the tiny amount of time I have between school runs, laundry, shopping, cooking, etc and everything else that is required to run a home with 4 children. Plus my husband managed to trap his hand in the car door, which meant an extra trip to Minor Injuries, x-rays, stitches, and now a one-handed partner! Lots of fussing and TLC required! I was really looking forward to starting a new project but when I cast a glance into my work bags I realised how many unfinished items I already have! So, I decided it was best to finish off one or two before starting anything else. Earlier this year I planned to make washcloths for the christmas stockings and so far only one is complete. The second was half done so that had to be first on the list. And now that too is done. Two more to go, but next up has to be the shawl. 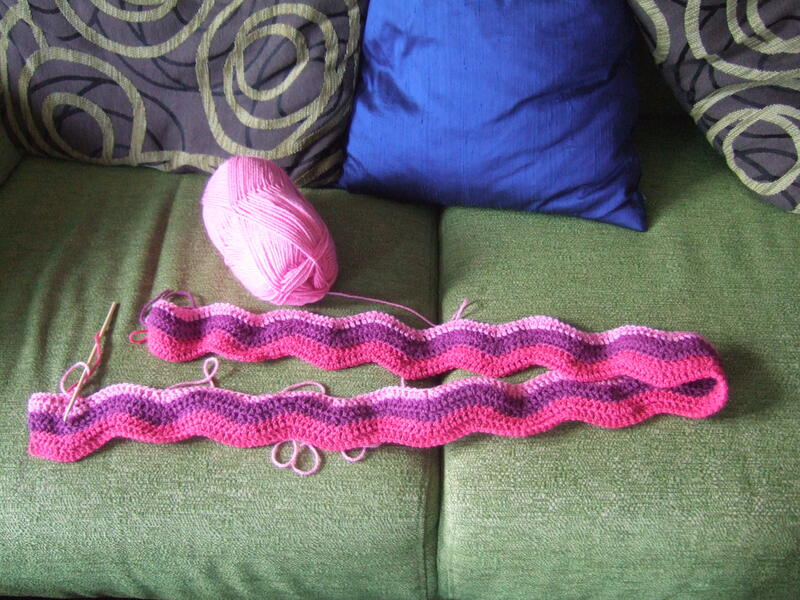 I’m pushing myself to do at least two rows a day which means it will be finished in about a week. Watch this space! And after that, there’s another shawl, but I really want to start a blanket for my cousin who is expecting a baby in the new year. Also because I found this really great One a Day project on Gingerbread Girl’s blog and I want to join in. 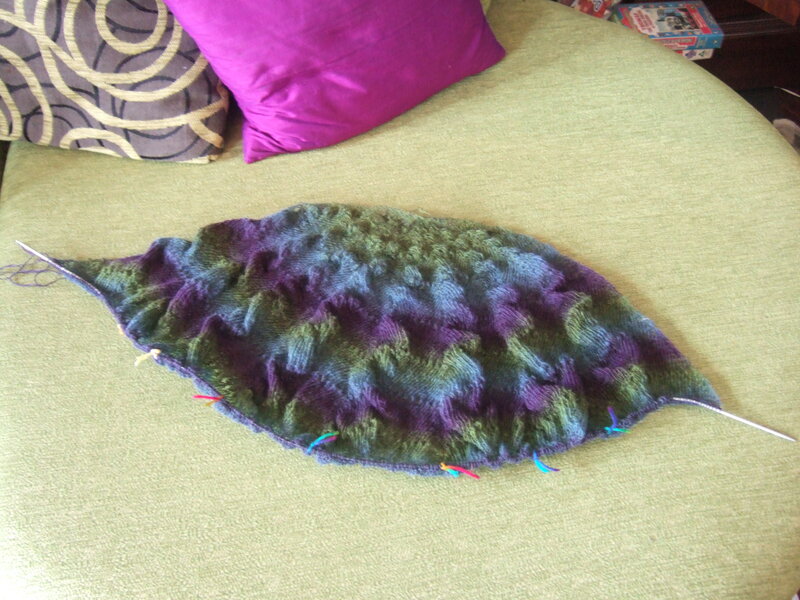 I really want to make Lucy’s ripple blanket and I think it would be perfect for this project.